Lapointe, Pierre Louis. 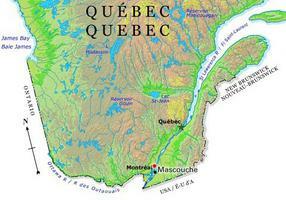 "Mascouche". The Canadian Encyclopedia, 30 June 2015, Historica Canada. https://www.thecanadianencyclopedia.ca/en/article/mascouche. Accessed 20 April 2019. The history of Mascouche was closely linked to the roles played by Gabriel Christie and Peter and his son John Pangman, 3 of the last owners of the Seigneury de La Chesnaye. 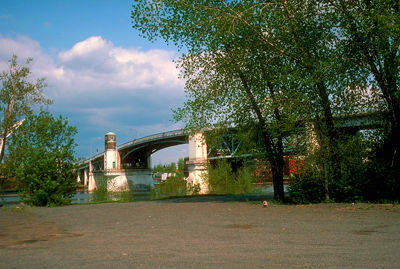 Mascouche, Qué, City, pop 33 764 (2006c), 29 556 (2001c), inc 1971. Mascouche is located on a rich and fertile agricultural area north of Montréal, 7 km northeast of Terrebonne, on the banks of the Rivière de Maskouche. The name is of Algonquin origin: maskwa means "bear" and maskoch, a derivative, means "a small or baby bear." Proof of a native encampment more than 3000 years old has been found on the bank of Rivière de Maskouche, close to the city centre. The history of Mascouche was closely linked to the roles played by Gabriel Christie and Peter and his son John Pangman, 3 of the last owners of the Seigneury de La Chesnaye. Two protestant churches built here, Grace Anglican Church (1840) and the Methodist church (1856), are indicative of the fact that at one time, the English-language minority played an important role in the growth and development of Mascouche. Set up as the parish municipality of Saint-Henri-de-Mascouche in 1855, its name was shortened when incorporated in 1971. Mascouche was well known as a summer residential area for English-speaking Montréalers who had cottages in "Terrebonne-Heights" or "Terrebonne-Gardens." When Expressway 25 was opened to traffic in 1971, this old town grew into a significant residential city. It more than doubled in size in the space of 10 years, going from 8812 inhabitants in 1971 to 20 345 in 1981.